Two new images for the "Raincity" series! Our relentlessly moody Vancouver winter skies and some fog (I love fog!) provided plenty of atmosphere for these images, which I photographed early this January 2016. It had been on my mind to photograph these two prominent Vancouver landmarks for some time, but had been uncertain of the approach to take. When the fog and the crows showed up, I had my answer. These two images are available now as prints and will be available as photo coasters in March. Adding four more to the "Antique Florals" I started with the Lily of the Valley images in my last post. One of my very favourites of late Spring - Peonies! These ones in particular were from some very old plants that still made the effort to bloom every year despite complete lack of attention from me. I'm always amazed by their masses upon masses of multi-layered petals with their luscious scent being the cherry on top! Well Spring has since passed and we're well into the summer heat, yet is there ever a time to not want to gaze upon the subtle beauty of the humble Lily Of The Valley flower? A most welcome memory of those first days of Spring, when all promises to be new again. I've had these and several other Spring flower shoots languishing on my hard drive for a couple of years now. Yes, sometimes it takes a good long while to complete images. This small series I finished up today. Perhaps I wasn't quite ready to do them justice when I photographed them, or maybe only now is their time. These will be available as prints on paper at Markets and eventually online too. Other media, such as marble tiles and wood panels are still under experimentation...so we'll see! Continuing on with the Raincity Series, a view of the Lions Gate Bridge (no, there's no apostrophe in this particular "Lions") which I photographed this earlier this month from along the seawall around Stanley Park on a surprisingly dreary day in the middle a very hot and sunny week. Typical Vancouver! The Lions Gate Bridge was built in 1937-38 and is one of Vancouver's most famous landmarks. It connects downtown with the cities of North and West Vancouver and beyond. The waters below the bridge form a deep but narrow channel, with very strong currents, so most of the big ships that pass underneath are carefully guided through by the many sturdy little (and not so little) tugboats we see cruising around the area. The mist covered North Shore Mountains formed a nice backdrop to the Bridge's graceful lines on this day. Prints will be available at the Granville Island Public Market in 8x10 and 11x14 sizes. Larger sizes can by had by request! Find me at the Market this week from Wednesday June 24th through Sunday June 29th. A new and fourth image for the "Raincity Series"! In keeping with the "moodiness" of this series, there's some dramatic clouds overhead in this image but that sun is still trying so hard to peek through, giving Captain Vancouver a bit of a backlit glow. Captain George Vancouver plied the waters of the North American Coast in the late 1700's and named many of the landforms we are so familiar with along our rocky shores. Interestingly, neither he nor the Spanish explorers of the day charted, or even noticed, the mighty Fraser River which is such a large and important waterway in the area. Vancouver's namesake was instrumental in opening up the western coastline to European settlement. For good or for bad he was an important person in British Columbia's history. A new image for Spring! A vast sky and puffy clouds in the late afternoon were the backdrop to my view of a juvenile Bald Eagle making its way inland from hunting along the seashore. 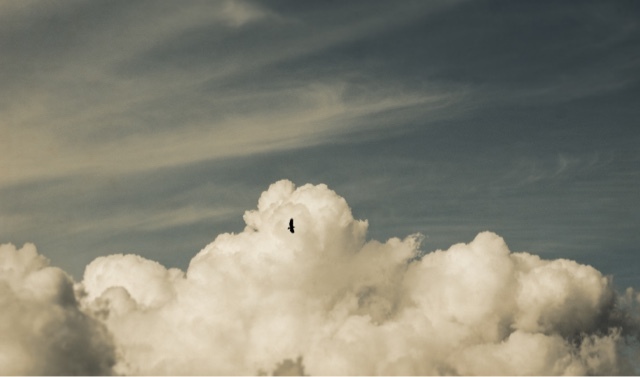 To soar so high and feel the freedom. I can think of nothing better. Both of these images were recently created from images I've captured during my many walks along the shores of Mud Bay in the South Surrey/Delta area of BC, Canada. While the place won't win any awards for sandy beaches, the bay definitely lives up to the "mud" part of its name attracting shorebirds, their predators and songbirds of every kind. Worth the jaunt south of Vancouver if you have a hankering for some wide open space and experience a bit of nature too. I'll have these two images available also at the Granville Island Public Market in Vancouver when I have my table set up there. Vancouver Series - A Third Image! The weather has actually been quite nice this winter season on the West Coast. Fortunately for this moody series I was able to photograph this view of downtown Vancouver in early January. It was definitely a little on the "un-sunny" side! This series will develop slowly as the right combination of weather and light is important. Prints will be available as the series progresses! Here is number two in what I will be striving to turn into a new series over the coming months. Images of various things "Vancouver" that have spoken to me as a resident of the area. This image is of Elek Imredy's bronze sculpture "Girl In A Wetsuit". She is a prominent Vancouver, BC landmark, sitting here in midwinter fog just off the seawall surrounding Stanley Park. She is lovely and graceful. I always take a moment to look at her when I'm near her in the Park. via Instagram @illuminaphotographics: http://ift.tt/1F6OMvb, This regal fellow will be making his debut appearance at my booth in the Granville Island Public Market this weekend! I'll be set up there Friday to Sunday 9-7 each day. Illumina Photographics is moving house! The photographs and all the stuff I need to make them are leaving the beautiful mossy greens of North Vancouver and finding their new home a little farther South near the sunny shores of White Rock. From one end of the BC's Lower Mainland to the other! So, from July 24 through August 2 I'm closing up shop. I can still accept orders during this time however price quotes and order fulfillment will be resuming as of August 6. Onward ho! 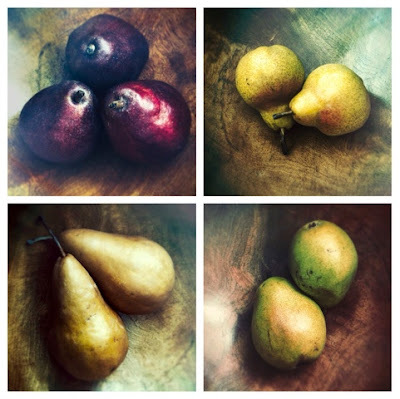 Check out this interesting online photography exhibition on Aline Smithson's Lenscratch contemporary photography blog. The exhibition's theme is the "Backyard" and it's always curious to see what a word like "backyard" can mean to different people. Whether the image is representational or interpretive, these images represent a broad and varied landscape, existing perhaps in the reality of terra firma or maybe just inside our minds. My own image "reflections of another home" is included on page four of the exhibition. It is an image looking through the inside of a room, from the outside to a backyard. Another home is reflected in the surface of the glass enclosing the room. I was intrigued by how all the different elements related to and influenced one another, yet still remain separate in function and identity. I must admit I have a strange attraction to reflections, they appeal to my sense of the surreal. Reflections of many kinds seem to be creeping in to my work more and more often these days. Seymour Art Gallery Spring Artisan Market! It's a Spring fling and the forecast is looking mighty fine for this Saturday May 4! What better way to spend a gorgeous Saturday than in beautiful and picturesque Deep Cove where the Seymour Art Gallery is hosting their 2013 Spring Artisan Market! 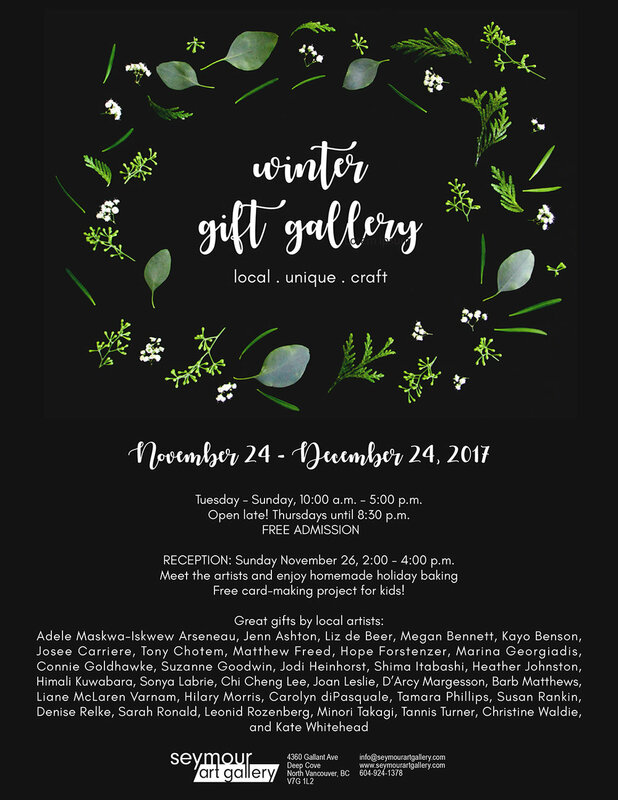 I will be participating along with around 14 other artists who sell in the Gallery's lovely gift shop - there'll be wonderful jewellery, art and handmade giftables to be had. I'll be bringing photo jewellery, more photo tiles, and some prints and wall art too if I can figure how to fit them on my Market table! This promises to be a casual, fun and intimate event - hope to see you there! This event takes place on Saturday May 4, 2013 from 10am to 4pm inside the Seymour Art Gallery, located at 4360 Gallant Ave., Deep Cove, North Vancouver, BC. I'm absolutely thrilled to have my image "hope" on display at The Kiernan Gallery in Lexington, Virginia, USA as part of the "Creatures" group show running from February 27 - March 23, 2013. The image explores the idea of capturing and holding for ourselves what we might like to be, or in this case what the animal represents to oneself, yet without regard for the creature itself. It is the first in what will be a somewhat introspective series examining themes of desires, regret and acceptance. The entire "creatures" show is available to view online at www.kiernangallery.com and the exhibition catalog is available in book form on Blurb.com. There's some absolutely fantastic work in the show and it never ceases to amaze me how elegant and powerful even the most seemingly simple images can be. The show was juried by fine art photographer Anne Berry who is a Critical Mass 2012 Top 50 finalist. Her series "behind glass" is one of the most moving and aesthetically interesting depictions of captive animals that I have seen. I'm very excited to announce that the five images of mine shown below are included in the upcoming "Abstract Expressionism" group show at PhotoHaus Gallery in Vancouver, BC! All of these images utilize intentional blurring and camera motion, reducing the subject's tangible form to that of my perception of its energy. My images in this exhibition are Archival Pigment Ink Prints on 100% cotton rag paper, matted and framed to 18"x24" in contemporary black wood frames. Please come on out and join me for the opening night - there will be lots of unique and interesting imagery shown in this exhibition, from over 30 different photographers. Oh yeah, of course there'll be beer and wine! January Blues Show Opens Tomorrow! Another showing! Two of my pieces "Descente" and "Somber Seas", shown below, are going to be hanging at the Burnaby Arts Council's "January Blues" exhibit at the Deer Lake Gallery - all the artwork in this themed group show is blue! You're invited to the opening, which is tomorrow (short notice I know!) Saturday, January 12 from 2-4pm. Blues musicians will be in attendance for the opening! 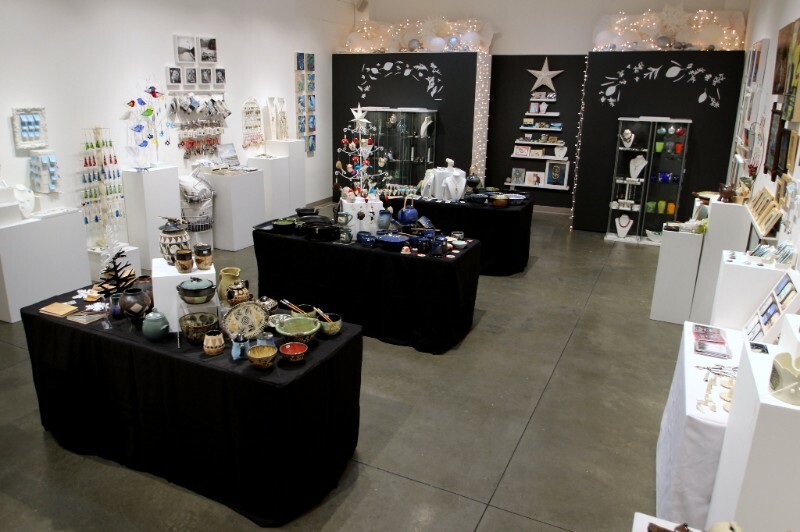 The Gallery is located at 6584 Deer Lake Ave., in Burnaby, BC., which is right inside the lovely and peaceful Deer Lake Park. After visiting the Gallery you can take a pleasant walk along the trails and lakeshore located in the Park and while in the Park stop in the visit the Burnaby Art Gallery too. "descente" 24"x24" photograph mounted to wood panel. "somber seas" 12"x36" photograph mounted to wood panel. I hope you can make it out, it will be a fun afternoon! The show runs until February 2, 2013.